Cinco de Mayo, May 5th, celebrates the Mexican army’s 1862 victory over France at the Battle of Puebla during the Franco-Mexican War. 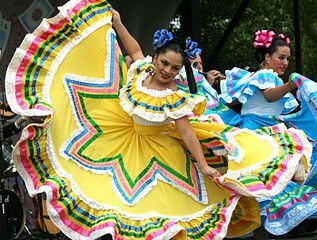 In the United States, Cinco de Mayo has become a popular celebration of Mexican culture and heritage, especially in the larger Mexican-American populations. This celebration should not be confused with Mexico’s Independence Day which is celebrated on September 16th each year. Cinco De Mayo celebrations can include parades, mariachi music performances and street festivals – check out your area to find how this holiday is being celebrated and join in the fun! If you really want to find the best party around… the largest Cinco De Mayo party is held each year in Los Angeles, California- thousands attend this party each year! Other cities that celebrate with style are held in Denver, New York City, Phoenix and Houston.